Click Start, go to Programs and open Thunderbird. In Thunderbird, click Tools then Account Settings. 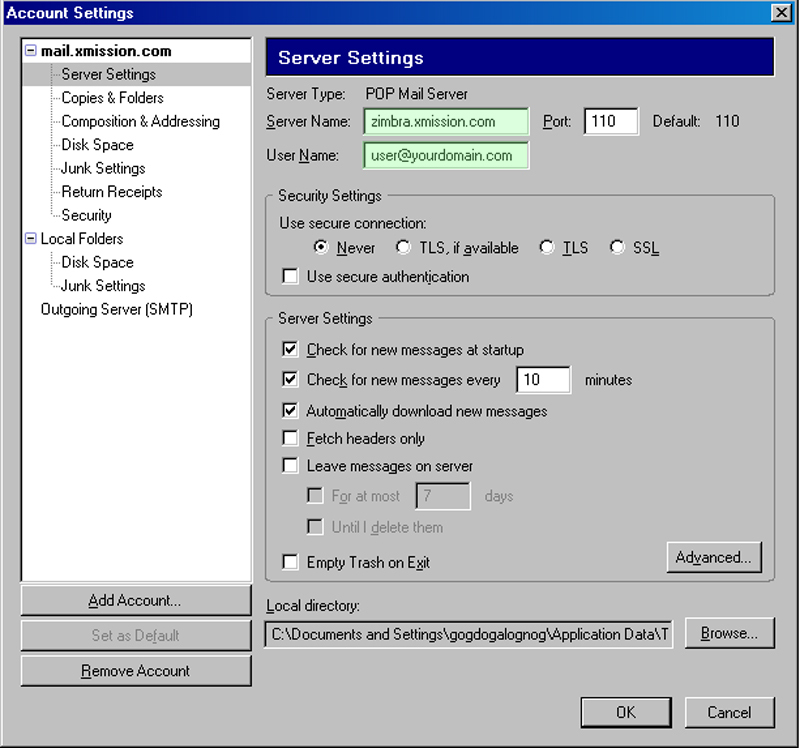 Click Server Settings.Change mail.xmission.com to zimbra.xmission.com and ensure your full email address is in the User Name field. 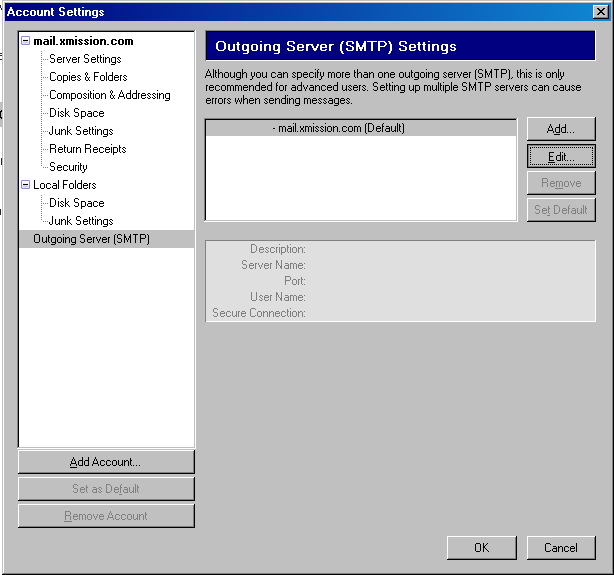 Click Outgoing Server (SMTP), select mail.xmission.com and click Edit. 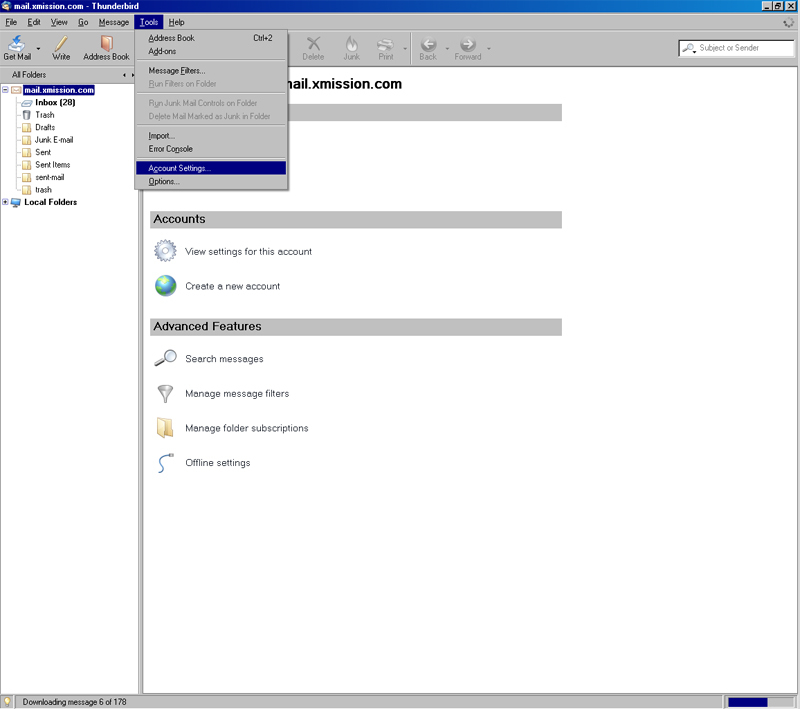 Change mail.xmission.com to zimbra.xmission.com. Check Use name and password and enter your full email address below.